Colombian singer Maluma’s 2018 F.A.M.E. 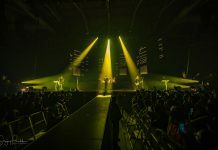 Tour’s audio production was anchored by potent Meyer Sound LEO Family reinforcement systems supplied by VER Tour Sound in North America and Fluge Audiovisual of Madrid for the European swing. 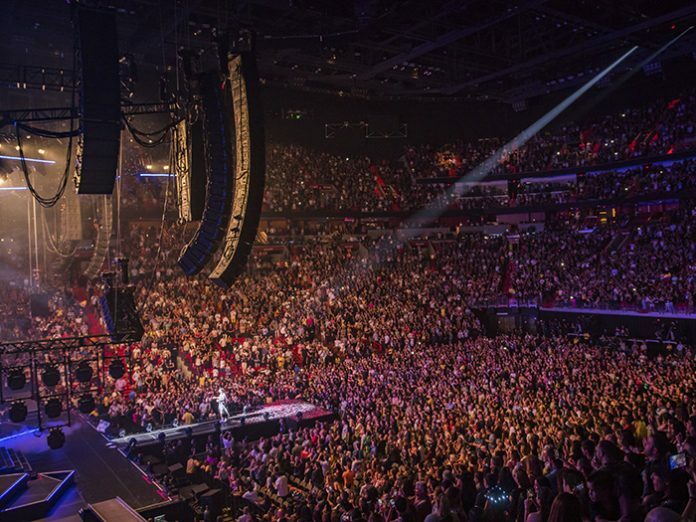 Tour FOH Engineer Lucas Pinzón, a veteran mixer in the genre (Carlos Vives and Bomba Estéreo among others), selected a Meyer Sound LEO Family solution to ensure he could rely on consistent results despite demanding tour logistics and daunting production hurdles. 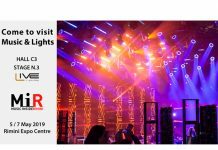 For a typical arena configuration, the touring rig’s main arrays are usually left and right hangs each with 14 Meyer sound LEO line array loudspeakers over 4 Meyer Sound LYON-Wwide-coveragee line array loudspeakers. 6 1100-LFC low-frequency control elements are flown per side, with ten more per side on the ground. 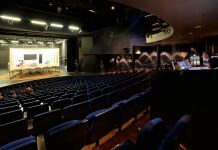 The 2 outfill arrays each comprise 8 Meyer Sound LYON-M over 8 LYON-W line array loudspeakers, and front fills are 12 Meyer Sound LEOPARD loudspeakers deployed as single cabinets along the stage lip. 8 Meyer Sound Galileo Callisto 616 processors supply system optimization and drive. The artist foldback system included 8 Meyer Sound LYON-W loudspeakers and 8 Meyer Sound MJF-210 stage monitors. For near-field reference, Pinzón relies on the pair of Amie precision studio monitors hovering behind his DiGiCo SD12 digital mixing console. ‘‘It’s unbelievable the power of that little box. I can bring my PA, which is 45 meters away, right up in front of my face,” he said. On the European leg of the tour, monitor engineer German Tarazona also uses Amie monitors for mix reference.